V&A welcomes Benjamin Rohr as Assistant Planner in Growth Management | Vandewalle & Associates, Inc.
Benjamin Rohr has joined the Vandewalle & Associates team this week, and will be assisting with a variety of Growth Management projects at Vandewalle & Associates to help communities better plan and understand systems. 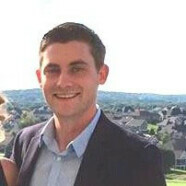 “I want to push for a more sustainable future…to help communities see that planning for infrastructure, for health, for environment, and for economy are not separate ideas; these can and should all happen together.” Previously, Benjamin has worked as a Land Use Planner in Rockford, and as a Planner/GIS Specialist with the Southwestern Wisconsin Regional Planning Commission in Platteville. He also has experience as an intern working on on planning projects in West Allis and in Janesville. Ben holds a Masters in Planning from the University of Wisconsin-Madison and a Bachelors of Science in Geography from UW-Whitewater.